Are you a fan of watching models displaying clothes on a catwalk at the fashion show? But at the same time a Charity-lover who would love to help those people in need? Why not join this one of a kind endeavor that Save a Life Today (S.A.L.T.) has organized in cooperation with DENR and Casino Filipino Teatro-Waterfront Cebu, "GAIA": THE ELEMENTAL FORCES FASHION SHOW FOR A CAUSE. GAIA features the young designers in the metro and some of the City's Best Models. It is set to be held on October 15,2011 7:00pm at CASINO FILIPINO TEATRO-WATERFRONT, LAHUG, CEBU CITY. SOS Children's Villages is active in 133 countries and territories. The variety of this international work is brought together by the umbrella organisation SOS Children's Villages International, which unites all of the autonomous national associations. 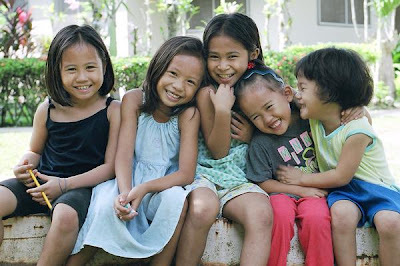 The SOS Children's Village Cebu consists of twelve family houses, the Village Director's house, a community centre and a workshop, where some of the youths are trained in crafts. The smaller children are looked after at the SOS Kindergarten, which is also open to children from the neighbourhood. An SOS Youth Facility is affiliated to the project. The older boys from the SOS Children's Village usually move there in order to prepare for their independent lives. Some of them are still at school, college or university. Others are doing vocational training. The SOS Youth House was opened in 1990. It was renovated in 2000 and a new building was added then. The SOS Children's Village Cebu runs an agricultural project, where the young people can learn farming techniques.